Companies of all sizes around the world from SMB to Corporate Enterprise are now realizing the benefits and ROI of implementing strong mobile marketing strategies. 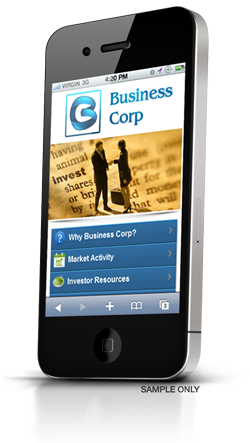 Quickly convert corporate content into mobile friendly versions and increase compliance with compatibility across all devices. Enhance your investor relations with innovative mobile marketing campaigns with your own platform to save thousands in marketing and development costs. 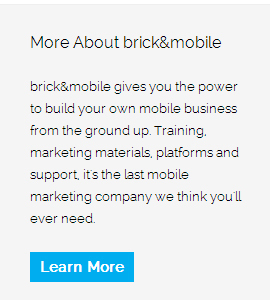 brick&mobile has the tools and the expertise to help achieve your corporate mobile marketing objectives. Copyright © 2013 brick&mobile, a division of Axiom Marketing Inc.